Lucia is a Spanish born, San Francisco Bay Area based singer, composer and multi- instrumentalist. She combines her voice, piano, ukulele, guitar, looping pedal, and other instruments gathered in her travels, to alchemize her imagination with prayers to the earth and water. She often collaborates with other Bay Area artists, creating diverse soundscapes that she calls dream folk. Lucia’s aim is to create an experience of sound where one can immerse in magic, healing and a return to home. She is inspired by a wide spectrum of artists, from the soul of Brazilian greats Caetano Veloso and Tribalistas, to the unmistakable sound of Radiohead, Portishead, and Peter Gabriel, to the songwriting of Joni Mitchell and Leonard Cohen, amongst many others. Over the years, she has collaborated with talents like Julie Wolf (Ani Difranco, Joan Baez, Sia), Grammy-winning producer Malcolm Burn (Bob Dylan, Jeff Buckley, Emmylou Harris), Joey Maramba(Rickie Lee Jones, John Cale), and most recently with Jai Uttal. Lilikoi’s song “One Hand to the Sun” was part of a Kirtan Aid collection alongside Rising Appalachia, Tina Malia, and Deva Premal. Her songs have been featured on shows like The L Word, and she has scored music for documentaries “Sold in America”, and “The Future of Energy”, which features luminary Buddhist ecologist, Joanna Macy. 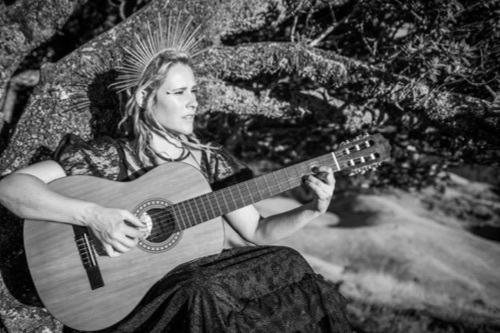 Lucia has performed her original work at venues all over the world, including The Alcázar in Sevilla, Natural High Healing Festival in Finland, Esalen in Big Sur, Gibson Guitar Studios in London, and The House of Blues in Los Angeles. She draws from her background in Classical piano at the Madrid Conservatory, Jazz and composition from Berklee College of Music, Sound Healing from the California Institute of Integral Studies, and vocal improvisation from master teacher Rhiannon. She also works as an educator, and sound healer, providing music for yoga, rituals and ceremonies. Her new songs are prayers to the Earth. A counterpoint to her third album, Vessel, which narrated the Heroine’s journey through water, these songs follow the theme of belonging and standing on solid ground, to cause a shift through the reclaiming of our voices. Lucia’s earthly and otherworldly voice leads the journey.